Pilot describes moment an Airbus with up to 220 people on board came dangerously close to crashing into ‘UFO’ as it came in to land. Plane narrowly avoided the ‘blue and yellow’ object at 3,500ft. Drama happened 13 miles outside Glasgow Airport. Nothing else was noticed on the radar at the time. Object passed beneath the plane before crew could avoid it. The plane was less than 10 seconds away from hitting the object as it flew over Baillieston on the outskirts of Glasgow at 3,500ft and prepared to land. Despite an extensive investigation, the UK Airprox Board – which investigates reports of near misses – was unable to identify the ‘blue and yellow’ object which passed below the Airbus 320. The pilot was clearly shocked and reported that there had been a ‘high’ risk of collision following the incident on December 2 last year. 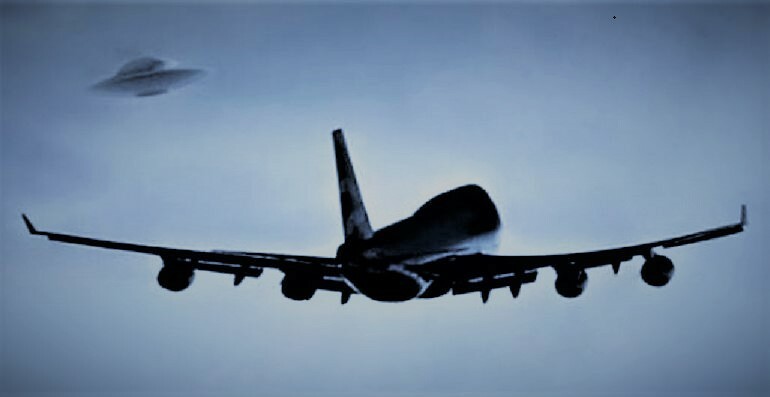 The unidentified flying object passed directly beneath the plane before either of the crew had a chance to take action to avoid it. The airline involved has not been identified by the report authors. Several companies fly in Airbus 320 planes from the airport and they can seat up to 220 people – although the number of seats varies. Approach: The plane was 13 miles away from Glasgow Airport (pictured) when it came within seconds of colliding with the unidentified object. The report authors said they had not been able to work out what the object was. They wrote: ‘The controller stated that he was not talking to anyone else in that area and that nothing was seen on radar. Search action was taken with no result and the A320 pilot stated his intention to file an Airprox. ‘Additionally, a further detailed review of individual radar sources did not yield any conclusive radar data that matched the A320 pilot’s description of the encounter. Near miss: A diagram in the report which shows the pilot’s direction of travel and the unidentified object which is marked as ‘CPA 1246’. This is a transcript of what the A320 pilot told the control tower. A320: ‘Maybe er yeah we were probably about four hundred to five hundred feet above it so it’s probably about three and a half thousand feet. ‘The Air Traffic Control unit’s own radar replay also showed no surveillance traces in the immediate vicinity of the A320 at the time. Once on the ground the A320 pilot gave a further description of the event to the Glasgow Aerodrome Controller. Asked if he thought it was a glider, the pilot replied: ‘well maybe a microlight – it just looked too big for a balloon But the board ruled out any such aircraft and were baffled. ‘The board initially considered likely candidates for the untraced aircraft. The A320 crew had not been able to assimilate any information regarding the form of the untraced aircraft in the fleeting glimpse they had, reporting only a likely colour,’ it said. ‘Members were of the opinion that, in the absence of a primary radar return, it was unlikely that the untraced aircraft was a fixed-wing or rotary-wing aircraft or man-carrying balloon. ‘It was considered that a meteorological balloon would be radar significant and unlikely to be released in the area of the Airprox. ‘A glider could not be discounted but it was felt unlikely that one would be operating in that area, both due to the constrained airspace and the lack of thermal activity due to the low temperature. ‘Similarly, The board considered that a hang-glider or para-motor would be radar significant and that conditions precluded them, as they did para-gliders or parascenders. ‘Members were unable to reach a conclusion as to a likely candidate for the conflicting aircraft and it was therefore felt that the Board had insufficient information to determine a cause or risk. NOTE: The above image is CGI. A group of UFO researchers has seen orange coloured orbs and managed to record the mysterious event on video. David Twine, a Hampshire UFO Group member, said the incident took place during a group skywatch on the night of April 9, 2016. Four of them witnessed the orbs in their naked eyes and viewed them later through binoculars. They were on a former Royal Air force station Stoney Cross, located close to junction 1 of the M27, Cadnam. The group was looking on the Northern part of their viewpoint when the orb-like objects came into view, flying left to the right. The group recorded the video of their sighting with zoom function activated and in black and white. No sound from those flying objects was recorded or heard. First reports involving these UFOs happened over Mevagissey in Cornwall, and then they were reported to fly east 185 miles towards Oxfordshire, around 50 to 80 miles north of the group’s location. The objects then continued moving across Northamptonshire and on towards Bedfordshire. A jet aircraft can be seen at 4.38 time of the footage from the lower right to left. The pilots and/or passengers must have seen these orange objects. The group sent Freedom of Information Request letters to the Civil Aviation Authority and the Ministry of Defence for any additional information regarding this mysterious event. However, the group did not get a response. NOTE: The above image is CGI. On February 28, the crew of Air Shuttle flight 5959 initiated the reports. 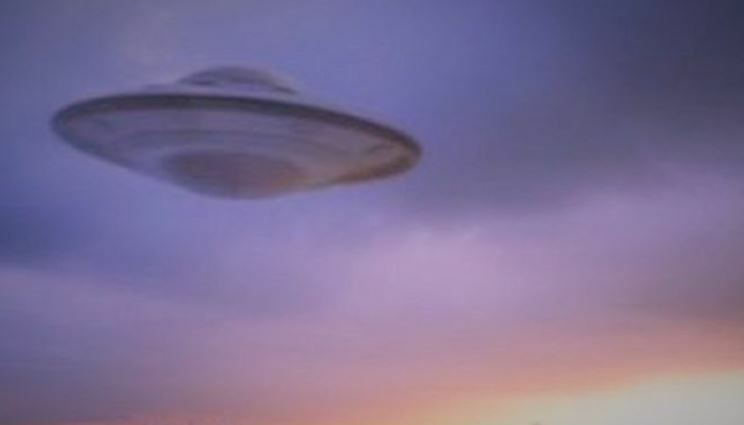 While cruising near Cleveland, they saw an unidentified, lighted object flying below them. The pilot radioed Cleveland Air Traffic Control, and reported what he and his co-pilot were observing, asking the controller if he had anything near that position on his radar. The controller did not. Shortly thereafter, the pilot of Mesaba Airlines flight 3179, who had been monitoring the radio communications, reported to the tower that he too had seen the UFO. The UFO initially was reported as flashing white, but soon displayed an array of various colors. Shuttle 5959 also related to the tower controller that the UFO was several thousand feet below his plane, and about 10 miles away. The only possible explanation that the Cleveland tower could suggest was that the crews were seeing a reflection in the clouds of a landing beacon. But both planes reported that the light was a distinct source of its own. The pilot of 5959 decided to drop down below the object. When he did, he could still the spinning, pulsating object above him very clearly. This proved that the lights were not originating from the ground. Mesaba 3179 even attempted to make contact with the UFO, by blinking its lights, but there was no response from the unknown object. Mesaba would also report that one of their passengers had snapped photographs of the UFO, and the Cleveland tower reported that they would like to take a look at them. What happened to the photographs is a mystery, as well as what the object was that was seen by two aircraft on February 28, 1996. Below is an excerpt from the transcript of radio communications between Cleveland tower, Air Shuttle 5959, and Masaba 3179. Air Shuttle 5959: Air Cleveland, this is 5959. We see traffic out there. Ah… twelve to one o’clock. Ah… low altitude. Do you have him on the radar? Cleveland Control: Air Shuttle 5959, that’s a negative. Sir, I don’t have anything out in front of you at twelve to one o’clock. Cleveland Control: He’s down well below you or can you get an estimate on an altitude on him? Air Shuttle 5959: Well, that could be really difficult. Ah… we’re between layers here. I’m just going to estimate two-three thousand feet below us. Maybe and ah… sort of ah… pulsating light about, I don’t know, ten miles out. Cleveland Control: Ok, Air Shuttle 5959. I’ll keep my eyes open. But I don’t see anything. Masaba 3179: Was that northwest of Detroit did you see that light? Masaba 3179: Yeah, that’s where I saw it. A really bright white light, sometimes flickering… ah… underneath the clouds is where I saw it. Cleveland Control: Air Shuttle 5959, is that traffic, ah… that you saw earlier? Do you see him out there any longer? Air Shuttle 5959: Air Shuttle 5959, that’s affirmative and it’s a light that kind of… it goes dim and it gets bright. I don’t know if we’re getting closer to it or what? But it looks like a rotating light around it like ah… like a Frisbee type thing that’s going around it. Cleveland Control: Masaba 3179, do you see the same thing? Masaba 3179: Ah… sir, I saw it coming out of Detroit and I wondered… ah… all I saw was just a couple really bright flashes of light and it almost looked like lightning and it caught my eye. And then I kept watching it and then it looked a little bit less bright. But it looked like it was underneath the cloud deck to me. And this was just as we were coming out of Detroit. Cleveland Control: Ok, and can you get an altitude on it at all? Masaba 3179: The light that I saw was just like, maybe, I don’t know… twenty-five miles northwest of Detroit. Is it what you’re referring to or you’re talking about the light at our twelve o’clock now about ten miles? Cleveland Control: Any kind of target off to your twelve o’clock? Masaba 3179: Ah… we have some kind of white light out there at twelve o’clock and the captain ah… says it’s pulsating. It looks like oncoming traffic. But it’s just sitting about the same place that it’s been the whole… here about ten or fifteen minutes we’ve been watching it. Air Shuttle 5959: Year, Air Shuttle 5959. It looks like it’s almost over Saginaw from our position. Cleveland Control: Ok, Air Shuttle 5959. Contact Saginaw Approach Control 126.45. I appreciate the information. Masaba 3179: 3179, that target looks like it’s ah… below us. I would guesstimate maybe ten thousand feet. Cleveland Control: Around ten thousand feet, would you think it might be like a reflection? Ah… maybe perhaps off a beacon that for some reason, it’s just one of those weird things. Ah… natural phenomena that you’re getting a reflection, cause I got nothing out there. Masaba 3179: I don’t know. I mean we can see a clear, you know, relatively solid cloud deck… ah… below us and this is definitely ah… distinct whitish ah… well, now it’s looking a little red and greenish white, sort of pulsating light and it’s constant. It’s not a beacon. Air Shuttle 5959: Air Cleveland, Air Shuttle 5959. Cleveland Control: Go ahead, sir. Air Shuttle 5959: Yeah. Hey, be advised we’re descending to four thousand feet right now and as we descend through ten thousand feet, that object is above us right now. It is not on the ground. It’s about ten thousand feet. Cleveland Control: Ok, sir. We’re checking on it right now. I don’t have anything out in front of You at all I’m showing. I appreciate you coming back to the frequency and letting me know. Air Shuttle 5959: I’ll keep you advised. I tell you what that is weird. It keeps sitting there pulsating. Cleveland Control: Masaba 3179, where is it relative to you right now? Masaba 3179: Twelve o’clock sir. Cleveland Control: I’m trying to do a little investigating as to what this might be. If you would keep me advised on this. Masaba 3179: Ok, sir. I’m going to blink my lights at him and see if I can get a reaction. 3179, was the other guy that saw that light was he headed southeast bound or was he headed to (garbled)? Cleveland Control: Well, he was inbound to Saginaw and actually when I sent him over to Saginaw, I expected that was going to be the last I heard from him. He came back up on the frequency and advised me that his clearance was down to four thousand and that he said that what he saw, was still up above him and was like a red… he said it was red and green light that was pulsing and like rotating. He said he would keep me advised and give us a report once he got into Saginaw. You don’t have a camera on board, do you? Masaba 3179: We could probably get one from one of the passengers. You want us to ask? Cleveland Control: Yeah, that would be kind of interesting to have a couple of pictures. I think… ah… might make our case a little better. Masaba 3179: Ok, 3179, we got a passenger taking a picture of it right now and ah… we have a flight attendant who says that ah… they might have saw the same thing the other night. Cleveland Control: Masaba 3179, I copy that. Ah… Masaba 3179, when you flashed your lights, did you get any response? Masaba 3179: Didn’t appear to, sir. Cleveland Control: Ok, Masaba 3179, I’m going to send you over to Minneapolis now sir. Is it still on your twelve o’clock? Masaba 3179: Ah… negative sir. It’s at about our two o’clock now. We ah… made a turn. Cleveland Control: Ok, so it’s off your right side about two o’clock. I’d sure be interested to see those pictures. Can I ah… get you an address that you might be able to send a copy, if you get a copy of them? Masaba 3179: Yeah, sure. We can do that and actually we made a right turn and he’s off about ten to eleven o’clock. Cleveland Control: Ok, so he’s off your left side. Ok.
Masaba 3179: Ok, thirty-two-nine. We’ll see you. I wonder if those pictures will show anything? Masaba 3179: Air Cleveland, Masaba 3179. Cleveland Control: Masaba 3179, go ahead. Masaba 3179: I just want you to know that I took a picture, as captain on the left side. I also took (unrecognizable) of some of the stars above, so the lowest light on those pictures. The only single light at the bottom of the picture should be ah… what you’re looking at. And you might be able to get a position with the sky if you want to go that far. Cleveland Control: Ok, great. That’s a good idea, I appreciate that. Masaba 3179: It was an instamatic camera. Good night sir. I was driving my work truck heading west towards La Porte on West 400 South. As I came out of the trees I saw a reflective object about 200 feet up or so moving very slowly. I approached the intersection of West 400 South and Long Lane. I observed and began recording at that time. I wasn’t sure what I was seeing, but it was very abnormal how slow it was moving. It was fairly large as you can see in the video and also very shiny and reflective and made no noise, It looked like a shiny egg or pebble. It moved very close to the high tension power lines . I watched as the object moved along the power lines from west to east, then over the farm. I watched until it was out of my view. As I was driving away on West 400 South I could see it hovering above the farm in my side view mirror on my work truck. The whole incident lasted about 4 minutes. I was nervous because I’ve never seen an aerial vehicle like that. I’ve seen military drones at the railyard near our town. I have a quad-copter and I’ve been to many air shows. I wanted to follow it, but I was nervous and I was on the clock and had to get to the job site. The last I saw that it was hovering over the barn. I found it very odd with no easy explanation as to what it could have been. I called the La Porte County airport and spoke with Diana. She informed me at that time they had no radar hits and she had not given out any permissions for agricultural drones that day. I’m attaching the video I took. I apologize for the “f bombs.” I was just very surprised at what I was seeing. I narrated the video to document what I was seeing and the location. 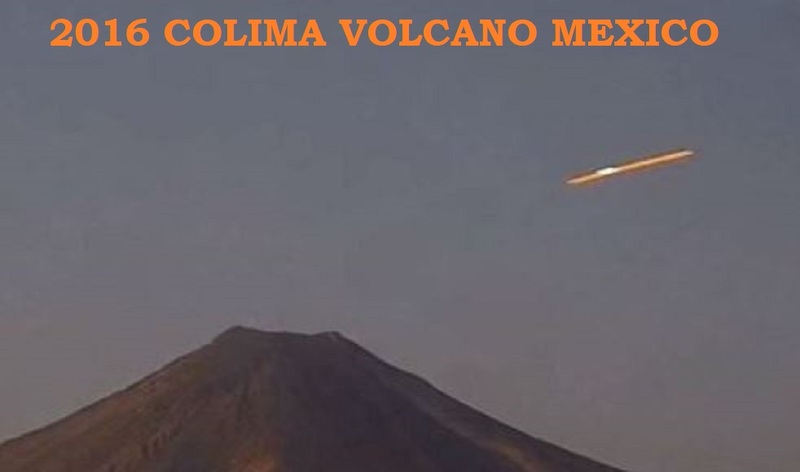 The eyewitness was apparently recording a volcano in Mexico using a live camera, and it was at this time that the strange flying object made its presence. “I have no idea the actual size of this thing, so if you can estimate, please comment. Could be anything from a UFO to a bug. Interesting how it is still, then zooms off in the same direction it came from though! I don’t know… I have seen bugs look that way on film, but it seems pretty big. That is a huge volcano, but I don’t know how to tell the size of it,” states the eyewitness. After analysing the video, Waring also argued that there might be an alien base 4-6 kilometres below the volcano. He added that local people in the area have several times witnessed bizarre UFO sightings in and around the volcano, and it clearly indicates that a hidden alien base is located there. Waring even claimed that he himself had recorded more than 10 UFO sightings near this volcano. However, apart from the recent clip, he did not release any previous UFO recordings shot from the vicinity. “This particular volcano is famous for its UFO sightings over the last five years. I personally have recorded about ten videos of flying objects near the mouth of the volcano in the past. Even the locals have reported seeing UFOs and even alien creatures on the volcano, so this video is not a surprise but is excellent evidence that an alien base does exist there,” added Waring. Shortly after midnight one evening in March 1958, at a Foreign Legion camp near Bouamama in Algeria during the Algerian War, a Legionnaire known only as “NG” was on sentry duty. It was not a particularly large outpost, with only light weaponry defending the base which was essentially “dug out of the ground” and connected to the main camp by a single telephone line. This particular evening, the sky was a perfect black host to a brightly shining moon. Underneath, the desert stretched into the distance like a never-ending sandy ocean. NG was expecting an uneventful night and so, while remaining alert, enjoyed the ironic serene peacefulness of the moment. However, at around half-past-midnight, that peaceful serenity was very much broken. A sudden whistling sound came from above reminding NG of the sound of someone “blowing into the neck of a bottle”. When he turned his attention upwards, he could see an “enormous, round object” heading his way from above. At approximately 100 feet away from him, it came to a sudden stop. It would remain, hovering silently. He continued to watch the truly huge craft estimating it to be perhaps 1,000 feet wide. A pale, green light appeared to envelop the craft. 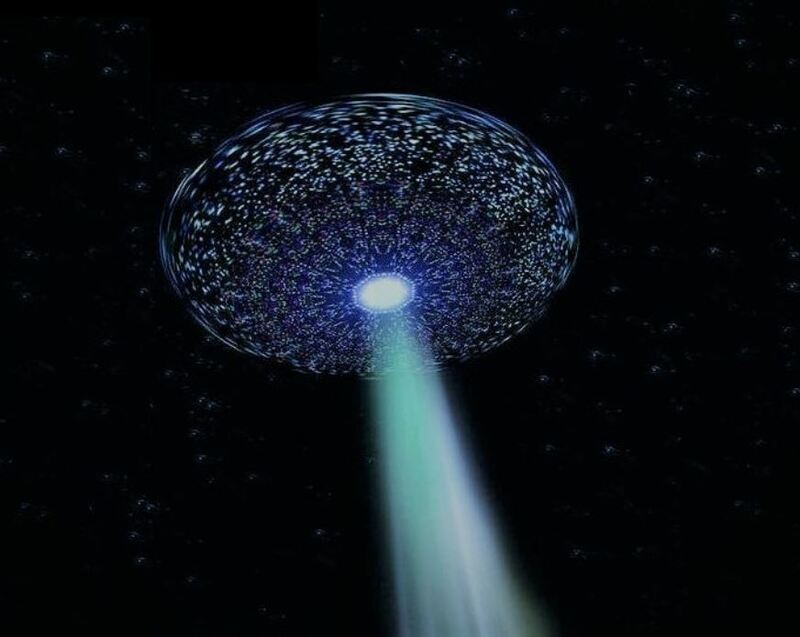 Even more bizarre, a “conical beam of emerald green light” emanated from the middle of the craft towards the ground. Despite orders to either fire his rifle or telephone the main base if anything at all should occur, NG simply stood there in awe of the fantastic events unfolding around him. Before he knew it, 45 minutes had passed, all the while NG had simply stood staring at the cosmic craft hovering above him. He almost felt as though he was in a strange trance, so enthralling were the colors around the craft. Suddenly, however, the whistling sound returned, snapping him back to his senses. He could see the object now beginning to rise once again. It continued to do so before it suddenly shot off into the night sky, vanishing within a few seconds. For several moments following its departure, NG’s state of mind was seemingly affected. He would quickly fluctuate between sadness and calmness, before fully returning to his “normal” state of mind as he was before the sighting. At this point, he picked up the telephone and contacted the main base to report the incident. However, rather than the response he was expecting of a back-up unit to come and investigate and take a full report, he was simply told to continue his watch. When he was eventually relieved of his duty at the normal time at the end of his shift, he would immediately seek out his superiors to report the sightings again. And while they would take more notice of his urgency on this occasion, it was still far from the reaction he was hoping for or indeed expecting. None of the superior officers doubted his sincerity. They believed he believed what he had seen. NOTE: The above image is CGI. Description: 6 flickering red/white lights linked together in a broken “V,” converged to form a hexagon, then flew away. Driving down I-35 westbound and Rendon Crowley Rd., next to Texas Health Huguley Hospital, I was on the phone with my girlfriend, driving ahead of me, and we both witness strange red/white flashing lights in the sky a little in the distance. We drove parallel to these lights and it looked like they were linked in a chain together 3 lights majority stay red followed by one majority staying white, then 2 more majority red (still flickering the opposite color red to white or white to red). They formed a broken V-shape, while spread out seemingly linked together somehow. I wanted a better look so we exited the highway, turned around, and then came into the view of the strange lights. They were remaining still the first time we drove by them. As we approached they seemed to form a hexagonal shape, and started to glow the same color, but would randomly flicker the opposite light individually (red to white). As we got closer to the spot we first witness them, they drifted away further and further ahead. Background: I don’t have any UFO viewing experiences, but have always wanted to see something out of the ordinary. Absolutely love watching documentaries about UFO’s. I had some slight doubt at first. Just so absolutely happy I was finally able to witness this wonderful event. I am 25 years old, white male, manage an electronic retail store. NOTE: The above image is CGI. 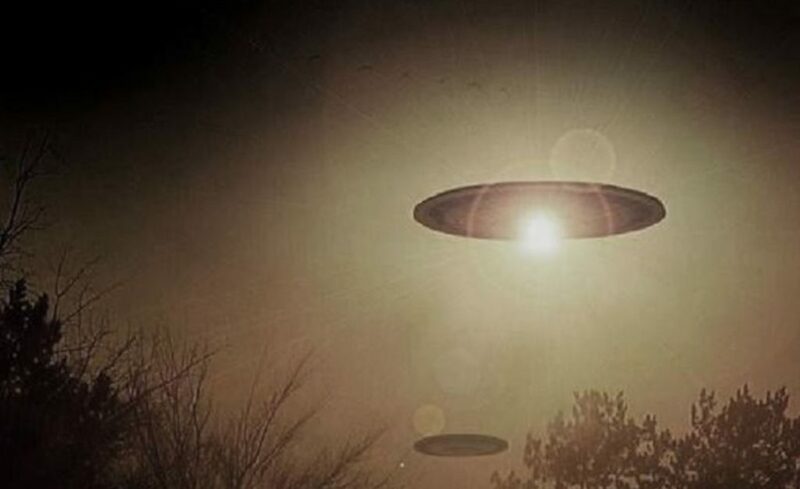 U.S. Marine Corps veteran described as a “massive” UFO incident that took place near a Lake Michigan nuclear power station the night of March 24, 2019. A bizarre cluster of scintillating lights said unlike anything in the current known U.S. military arsenal was observed and recorded in flight over several hours by long time Manitowoc, WI, resident Myles Panosh and his videographer friend Jeff Lavicka. 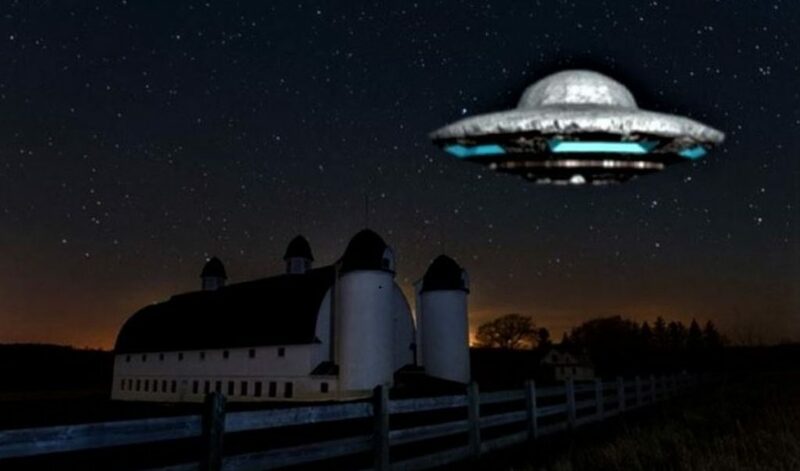 Running under 15 minutes the “Manitowoc Incident”’s stunning enhanced HD UFO footage, 8-bit granular audio analysis, dramatic recreation and voices of witnesses transport viewers deep into the heart of what may be the biggest UFO story of 2019. U.S. Marine Corps veteran Myles Panosh says he was on a telephone call that evening discussing UFO experiences with Sheboygan, WI, resident Shelly Schmidt when he looked out from his window and spotted a “huge” UFO over the vicinity of Point Beach Nuclear Plant in neighboring Two Creeks. Unable to capture the subject with his iPhone he enlisted help from neighbor Jeff Lavicka at 8:45 p.m. local time. The videographer then successfully imaged the mysterious event using a Samsung Galaxy S4 and was able to observe the incident until approximately 11:30 p.m..
What the videos show include multi-colored lights appearing at the apexes of a seemingly opaque wedge-shaped “Star Destroyer”-like spacecraft attended periodically by additional luminous bodies in flight blinking on and off in the nearby field of view. There are no stars or other celestial bodies visible in the background suggesting the UFO’s luminous emissions were brighter than starlight and that the subject was operating within Earth’s atmosphere. It stands to reason that if the smartphone camera’s low-light threshold included imaging of celestial objects, dozens would have appeared in each upwards-facing video frame accompanying the subject under clear night sky conditions described by the witness. Such a simple analysis concludes that the video images do not depict stars and planets but rather subjects of magnitudes greater than starlight whose emissions fall within the visible range of the camera sensor (where other celestial objects do not register).  It is clear from these images the Samsung Galaxy S4 is incapable of resolving distant binary star systems at night but is clearly suited to the task of collecting UFO evidence under dark sky conditions where subjects flying within Earth’s atmosphere emit significant illumination of their own. The role of primal hypnotic scintillating lights in UFO incidents (like the bioluminescence of cuttlefish stalking their prey) may in some cases be interpreted as a pacifier of observers transmitting “nothing to see here” signals to individuals who may otherwise mobilize some sort of active response. The effect has been observed by this reporter during field research in the British Columbia wilderness where helicopter-like light activity on nearby ridgetops seemed ironically normal under conditions where such vehicles were very unlikely to appear. During their telephone interviews for the “Manitowoc Incident” both Myles Panosh and Shelly Schmidt recounted a subculture of testimonies from local residents and visitors to the area who said they had seen lights in the sky near the nuclear site and over Lake Michigan. An article from the Detroit Free Press from March of this year cited eerie lights appearing along near 200 miles of Lake Michigan shoreline in witness reports from 1994 highlighting how these reports remain unsolved to the present day. According to the Union of Concerned Scientists fire protection problems and groundwater leaks plague Point Beach. Multidimensional environmental stakeholder ET interests in U.S. nuclear power plants remains a sensitive taboo subject where employees held economic hostage fear for job safety and onsite security protocols preclude bringing public attention to ETs and these incidents through the present day. It remains otherwise incomprehensible how local residents using smartphone camera technology were able to release stunning images of such an apparently massive display whereas all of the local and regional airport radar sensors plus security system sensors at the nuclear site remain effectively silent in communicating facts of these events in the public domain (as if they registered nothing at all). Clearly the culture of an ongoing cover-up persists in modern America outliving the Pentagon’s 2017 Advanced Aerospace Threat Identification Program (AATIP) moment in the New York Times. According to trained military observer Myles Panosh what he saw and Jeff Lavicka recorded that night was “Not anything we have. No way. Not even close. Not a chance. It was not a star. It was not a planet. It was not a meteor. It was definitely (by definition) an Unidentified Flying Object.” Viewers can watch the short film “Manitowoc Incident” on social media for free and learn how public contact with and video recording and reporting of dramatic UFO experiences can be big, bold and beautiful. I was driving my co-worker home, from my place on Piccardo Circle to her place at the Tyrolian Village on March Lane. I was then working for the developer. Instead of taking March Lane direct I cut behind the 3 story I think it was Pac Bell Building right across at the entrance of the apartment complex. Slowly a saucer with lights moving consistently around the middle came from around the front of the PAC Bell Building and toward us. It was moving very slowly. I stopped the car, checked the time to make sure we didn’t lose any if we were taken up, prayed to God we weren’t and rolled down the window to hear a sound coming from the saucer thinking it may be a blimp prank … there was not a sound at all … none! When the vehicle came around the 3 story and by the time it was over us it was between the 2nd and 3rd story it hovered and moved so very slowly. I dropped her off quickly and headed home to see if it was traveling toward my home, and when I reached home it was traveling along the tracks headed in the direction of UOP and downtown. I cannot believe there weren’t other reports. This was about sundown. NOTE: The above image is CGI. 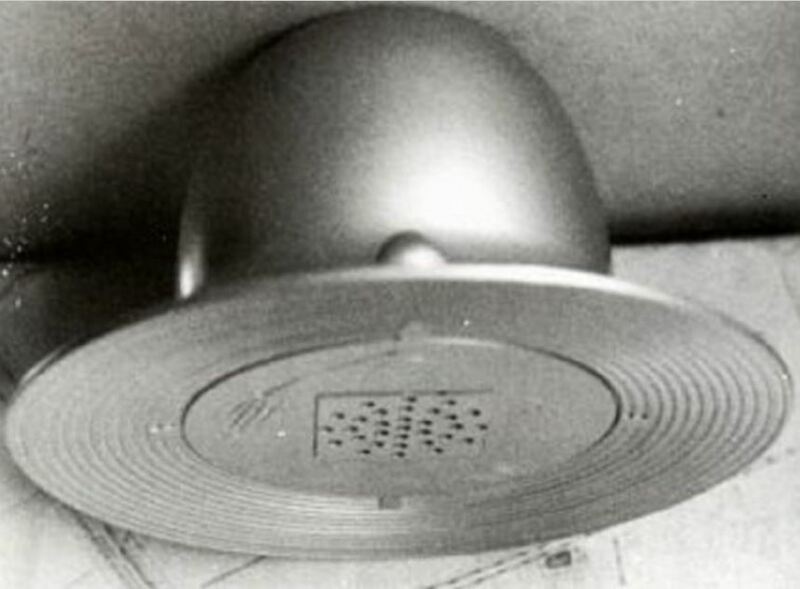 That’s the come-on by the St. Lawrence Insurance Company of Altamonte Springs, Florida, which is selling an alien abduction insurance policy to anyone who is worried about being kidnapped by extraterrestrials or is actually thinking about a trip on a flying saucer … with aliens, of course. Will it cover cows? And if you believe that, they probably have some canal-front property on Mars they’ll sell you if your abductors are taking you to the Red Planet. According to the Miami Herald, the St. Lawrence Insurance Company has sold about 6,000 alien abduction policies offering $10 million worth of coverage for the low, low, one-time price of $19.95. That includes a digital copy of the policy. If you’re afraid the aliens will destroy your computer or cloud your cloud storage, $24.95 gets you a printed policy. In even finer print, it states that the payments to you or your beneficiaries are $1 per year for 10 million years. Is that really peace of mind or is St Lawrence in it for the money (about $120,000 so far, minus a few bucks to those two abductees)? If they’re paying attention to the competition, it’s the money. The Grip insurance company in London also sold a similar alien abduction policy and convinced 37,000 people or more to cough up £100 ($130). While you scoff, we’ll do the math for you … $4,810,000! NOTE: The above image is CGI. A woman who had been enjoying a trip to the beach with her boyfriend reported a rather strange UFO experience. The incident occurred on Karekare Beach, Auckland on Sunday, March 31st. The second object moved in a similar fashion before also disappearing in to the distance. Little did the couple know however that this would not be the end of their close encounter. “We were lying down looking at the stars for a while and then stood up to leave, before realizing there were five [objects] surrounding us in different areas of the beach,” the woman wrote. As things stand, the exact nature of what they encountered that night still remains a total mystery. NOTE: The above image is CGI. Interestingly, the V-shaped UFO spotted in the United Kingdom seems very similar to the alien spaceships depicted in Hollywood movies. 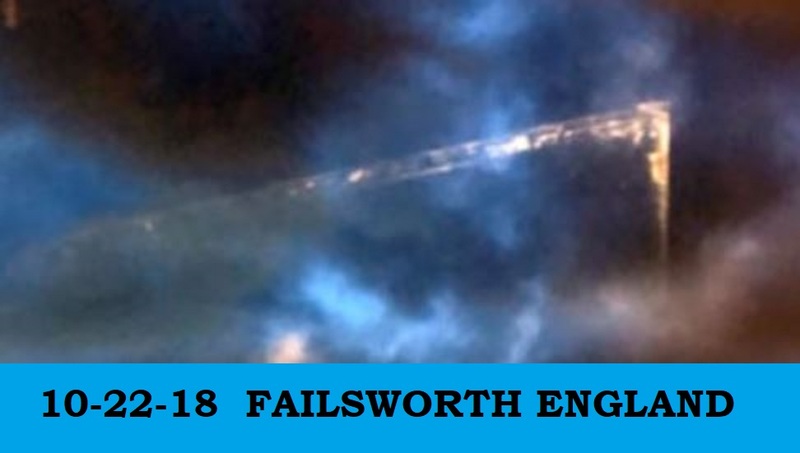 Popular conspiracy theory YouTube channel ‘UFOmania’ has recently uploaded a video that shows an eerie V-shaped flying object hovering in the skies of Failsworth, United Kingdom. Interestingly, the perfectly cut V-shape of the UFO seems very similar to the spacecraft which people have seen in Hollywood sci-fi films. Even though the image was captured by the witness last October, pictures of this incident became viral after it was shared by a website named UFO Sightings Hotspot, and later by the YouTube channel UFOmania. The creepy photo is now being submitted to MUFON (Mutual UFO Network), and they are apparently investigating the authenticity of the image. As the image went viral online, many people have started arguing that this UFO could actually be an alien vehicle from deep space. Most of these extraterrestrial buffs argue that aliens who live in the far nooks of the universe used to visit earth regularly to monitor human activities. “It looks straight out a movie… which makes you wonder what Hollywood knows?” commented Ninorc Sinned, a YouTube user. In the meantime, a section of other conspiracy theorists claims that these V-shaped crafts could be secret military vessels developed by the United States Air Force. Conspiracy theorists have long been claiming that the USAF had developed a triangular craft allegedly named ‘TR-3B’ during the time of Gulf War. 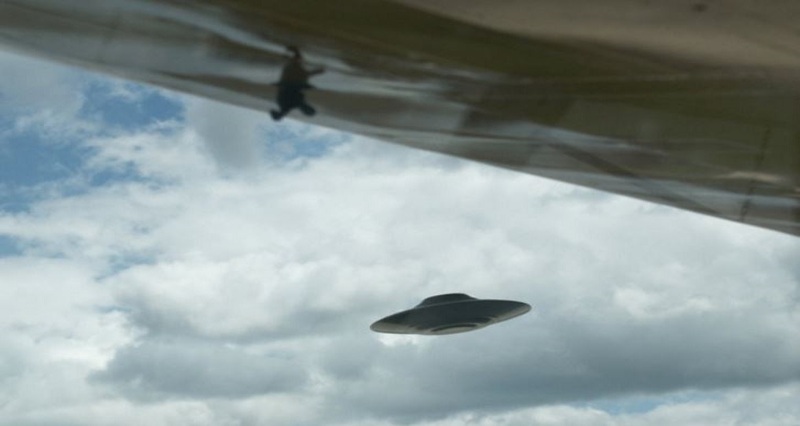 It should be noted that the shape of TR-3B often depicted by conspiracy theorists seems very similar to that of the flying object spotted in the United Kingdom. A “Dull, Silver Hat” Hovering In The Air On The Walk Home From School! On the afternoon of the 25th August 1972, 13-year-old Michio Seo was returning home from school, using the same route he would use every school day. On this afternoon, however, he would witness a bizarre, metallic object hovering in the air over a rice field that ran along the side of the road. Although a little unnerved, Seo was beyond curious. So much so, he approached the strange object and began making his way across the water-soaked field. However, before the could get too close, a strange beam shot out from the object in his direction. With this, Seo began to back away immediately. He wasn’t sure if there was anyone inside this small craft, or if it was under any type of control, but he took the shot very much as a warning and decided against any further investigation. He would rush home and after relieving himself of his school equipment, rushed back out again to tell his friends of this strange encounter. And, with safety in numbers, would look to return to where he witnessed the strange craft. Seo, along with his friends, Hiroshi Mori, Katsuoka Kojima, Yasuo Fujimoto, and “Yuji”, would return to the field shortly after, arriving at around 7 pm. They would keep watch for close to an hour with no activity to report. Then, however, the object returned and hovered over the field once more. All five of the young boys watched the object as it hovered over the rice fields. As the dark arrived to claim the skies, however, the object itself began to glow and cast out a multicolored array of lights. As the group began to cautiously approach the object it would let out a sudden and loud bang. At first, this froze the boys in fright. After a moment or two, though, they each turned and ran as fast as they could. Over the coming nights, the boys would return to the field in the hope that the strange object would return once more. However, each night they would leave disappointed. That was until the evening of 4th September. On that evening, at a little after 9:30 pm, the strange, metallic object returned. This time, it appeared to be much lower than normal, about three feet above the ground. Of more concern to the group of youngsters, though, was the that it was heading straight for them. Glowing brightly as it did so. Once more, this would cause the five teenagers to quickly turn and run. They would arrive back from the field safely. Before they each returned to their respective homes, they would decide they would return the following night. The following evening on the 5th September, the five young boys returned. Their efforts and patience, however, would go unrewarded. Undeterred, they would return the following evening. And this time, the night would be anything but uneventful. On this evening, with night already gripping the sky above, the boys would spot the object hovering extremely low to the ground. As soon as the area lit up in the glow of the camera’s flash, the object burst into motion, spinning tightly and ascending directly upwards several feet. As it did so, the boy with the camera managed to snap a second picture. Then, almost in response, the object sent out an intense flash of its own before descending once again. The boys watched in awe as the object continued to spin, as if it were trying to dig itself a tunnel in the ground below. Then, it suddenly stopped. After several moments, the group approached, slowly. Hiroshi Miro would continue forward, eventually bending down to pick up the strange, metallic craft. He would later claim that he witnessed “something moving” inside it. However, it is not clear what this might have been, or if he was certain of what he saw. Miro would then wrap the object carefully and place it inside his backpack. From there, the five friends would make their way to Miro’s parent’s home, where they could examine their find a little closer. Once there, they would carefully unwrap it and begin exploring it more closely. It was around 4 inches across and around 8 inches high, with strange circular grooves on the underside. 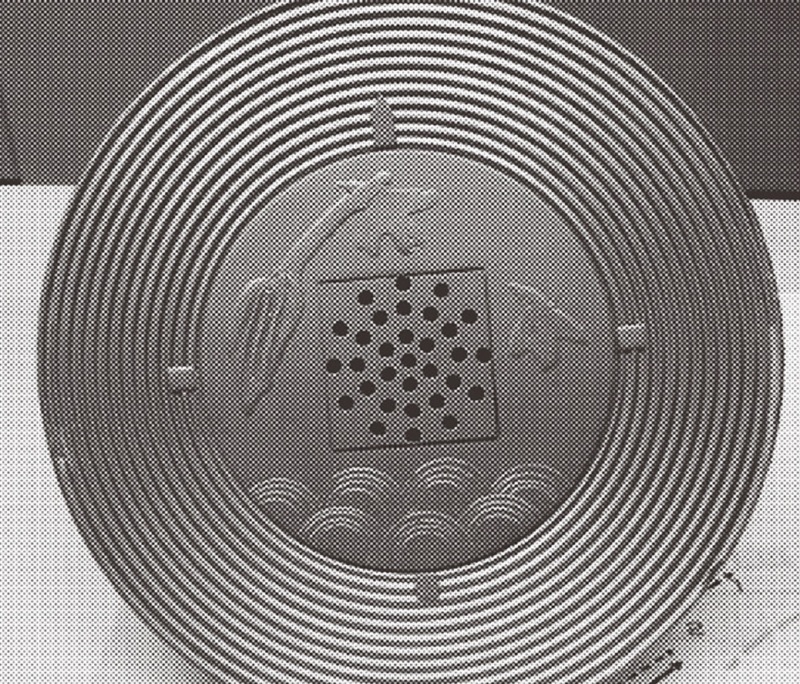 Furthermore, on the middle section of the round underneath, was a square with 31 holes, surrounded by three strange symbols. Although they had all seen this object fly on several occasions, including this evening, now it appeared decidedly still. They studied it closely, turning it over and around. However, try as they might, they could not see or discover what might make it fly. There was no obvious engine or propulsion system. They would ultimately decide to take the object to Fujimoto’s home, whose father was, at the time, the director of the Center for Science Education. He had said to his son if they happened to “catch” this strange object he would look at it. However, when he did, he would declare he could see nothing of any real importance about it. He would later claim “regret (at) not having studied it more. The boys would place the object back in Mori’s backpack. They would decide what to do with it later. However, the following day, when they went to examine the object once more, it was gone. It had seemingly completely disappeared. NOTE: The above object was the real object that was found. In Bastian, Virginia at around 8:30 pm on the 3rd March 2017, an anonymous witness was picking up her 16-year-old daughter from a school function. As they began on their journey home, the witness noticed a “super bright star” to the left of the vehicle. It looked rectangle-shaped and you could see red lights all along its side! Another strange incident took place several months later. At just after 5 am on the morning of 4th June in Latham, Tennessee. According to the witness, they and their family had seen “lights in the sky for months”. Even descending as “orange balls of light” and actively followed his vehicle. On this particular morning, after seeing the balls of light in the trees, he would leave his vehicle to investigate. When he walked a little way into the woodland, though, the lights instantly began to head towards them. He would state that when the “light” was around 20 feet away, he could see that it was a “7 feet tall, grey, smooth-skinned alien-looking being” heading in their direction. The lights, he would claim, were actually the creature’s eyes. Why Are UFOs Following Witnesses? Another incident was reported at a similar time – around 4:30 am – on the 31st July. This time in Exira, Iowa. The witness was on their way to work and was driving along F58. Then, they noticed two bright lights heading towards them. They would pull the car over, thinking it might be a small airplane in trouble. However, they couldn’t make out any other details that would suggest it was a plane. They could, however, see a “big white orb” on the underside of the craft. The object would follow the witness for another mile or so before disappearing. One of the most recent incidents took place on the 23rd December at around 9:40 pm in Kincardine in Scotland. The witness would recall seeing a “metallic triangle with red and green lights” on the underside. On the underside was a “continual bright white light”. Very similar, perhaps, to the “white orb” witnessed by the driver in Iowa six months previously. The object would follow the vehicle for several miles before the driver lost sight of it while making a turn. Whether there is a connection between these sightings or not is open to debate. The accounts of a “humanoids” sitting within these strange, glowing orbs, might indeed prove them to be some kind of cockpit. One, if the 2017 descriptions are accurate, are on the underside of a dark, metallic craft. Indeed, it is perfectly reasonable, for example, to suspect that the sightings of these strange, piloted orbs, actually sightings of metallic crafts where only the lit-up orb-like cockpit is visible. Why are these crafts actively pursuing witnesses – albeit in an inquisitive manner as opposed to attacking? Perhaps that is the area of concern. NOTE: The above image is CGI. According to an account in the Syracuse New Times, an incident from Waterloo in the Lauderdale County area of Alabama in the autumn of 1930 also features a “glowing ball”. The account in question would come to the newspaper through “Jesse” – the grandson of the main witness, his grandmother. At the time, as the industrial and technological revolutions met and the United States became electrified, the Lauderdale County area was growing at a rapid rate. Even tiny town (relatively speaking) such as Waterloo would see increased growth of their populace. Just to put this into perspective, today the population of Waterloo is a little over 200 people. In the 1930s it was just short of 500. According to Jesse, on this particular late-fall evening in 1930, at around 6:30 pm, his grandmother and three friends were sitting in a car outside their high school. They were there to perform in a school play. And were waiting for a member of staff to open the doors. Not long after arriving, however, Jesse’s grandmother would notice a strange light. Like a “ball of fire” heading towards the car. She alerted the other three and a quick hush came over the vehicle. They wondered if the light might be a flashlight or possible the headlight of an oncoming vehicle. As it came closer, the brightness increased dramatically. In fact, it was so bright that the entire interior of the car lit up. And was “as bright as day”. Whenever Jesse’s grandmother would recall the encounter, she would describe the object as being “the size of a basketball” which floated by and around the car at a distance of 2 to 3 feet. It would then venture off into the nearby woodland and disappeared. If we return to modern day Alabama, we see that these orb-like sightings are still occurring today. And what’s more and perhaps of more concern as we shall examine shortly, incidents of UFOs – orb-like or otherwise – “chasing” witnesses still occurs today in our contemporary era. Right across the United States and the rest of the world. 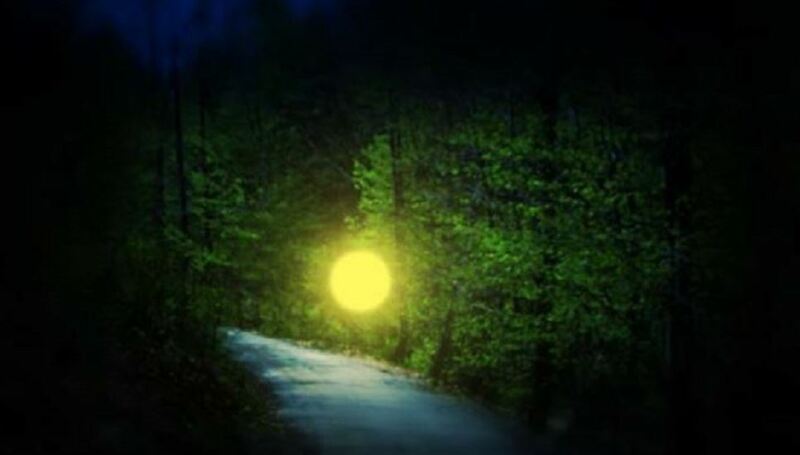 In Wetumpka, Alabama, shortly after midnight on the 1st March 2011 – according to MUFON case number 31948 – a resident would report seeing a “sub-car sized sphere” appear over a field where it hovered for several moments lighting up the ground and surrounding area in its brilliant but pale orange glow. The witness was driving home after a late shift at work and could see the object from several miles away. He would report having seen them on several occasions before, some of which stretched back several years. He would continue his journey, all the while keeping the mysterious orb in sight. It would eventually, and similar to several other such encounters, head off into the woodland. Seemingly weaving in and out of the trees. Occasionally appearing above them. Like an orb-like whale breaking free of the surface of the trees before diving back beneath them. The object eventually vanished from sight leaving the witness to contemplate just what it was he had seen. He would later speak to his mother of the sighting. She too claimed to have seen strange lights from the house at the same time. NOTE: The above image is CGI. UFOs seen East of Lexington Ohio 06/13/2009 Saturday night 11:20 pm EDT. My wife 41, our 5 year old son and I were headed South coming from Mansfield, OH when my wife noticed 4 lights, not blinking, hovering over Interstate 71 about 1,000 or less feet up in a straight horizontal line. Then they flew over the interstate and went vertical when I finally was able to focus in on them. At that time a 5th showed up came from over trees on east side of 71. I slowed down and noticed the few other cars slowing and a couple stopping on the side of the road. I saw the objects change formation from 4 in a vertical row to a staggered formation when the 5th appeared from what seemed to be out of nowhere it was so fast at first. The 5th one flew over fast to the west from the east over the trees, bigger and closer to us than the other 4, larger than a mac truck.. I stopped the car when the 5th object flew into view. It V-lined straight over towards the others but stayed on the north of them and stopped. The other 4 stayed for a few seconds and went up towards the south, south west, east and 4th disappeared. The 5th larger object went incredibly smooth and slow towards us and when it got over our car (with me out the sunroof opening trying to take pictures with camera) and then went fast towards us, headed north, and then did a perfect curve straight upward into the stars disappearing within about 5 seconds till it looked like a star then was gone. My wife tried to get pictures but the camera she uses daily kept going into timer mode (which is a manual knob you would have to turn and it was not on this setting). I took camera and tried changing settings, turn off and on… and it went to 10 sec timer wait mode for me too. After about 6 tries, I turned off camera and manually put on burst mode, held down the camera trigger and powered it on at the same time, and it took about 20 pictures with most of them blank/black, we managed to get 2 pictures out of the 20 and I made sure to get the I-71 bridge with cars going under it for comparative reference.. The objects appeared to be bigger than the size of the traffic and trucks on the road. 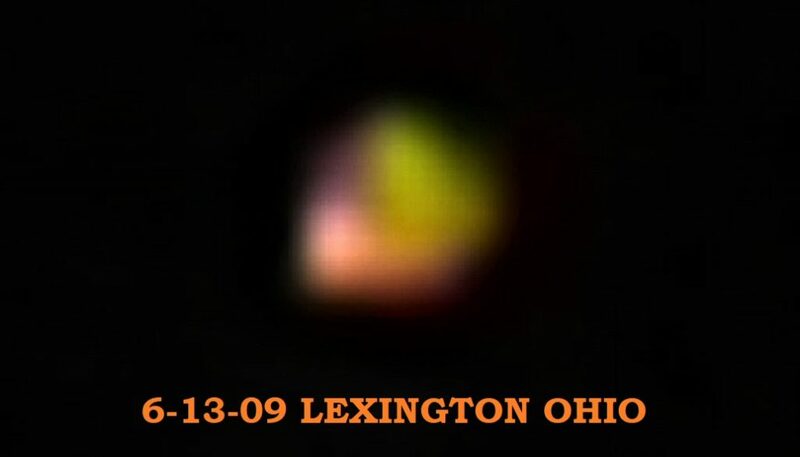 When the 5th came from over the trees and West out over 71 then hovered, it was shining bright orange light that sort of morphed colors like yellow, orange, red, blue and black randomly a couple of times but mostly orange. You can see in the photo zoom that one of them is morphing to yellow below. After reviewing the overpasses on the map, it looks like they were just south of Orchard Park Rd. and the closer one came from behind the trees by the fields and pond or lake in the map below to the right of 71 or from the east somewhere. My wife comes from an aviation family and has witnessed everything from NASA rocket launches to home made flying machines. She said she can not believe that anything on earth could ever maneuver that accurate and move that fast silently. 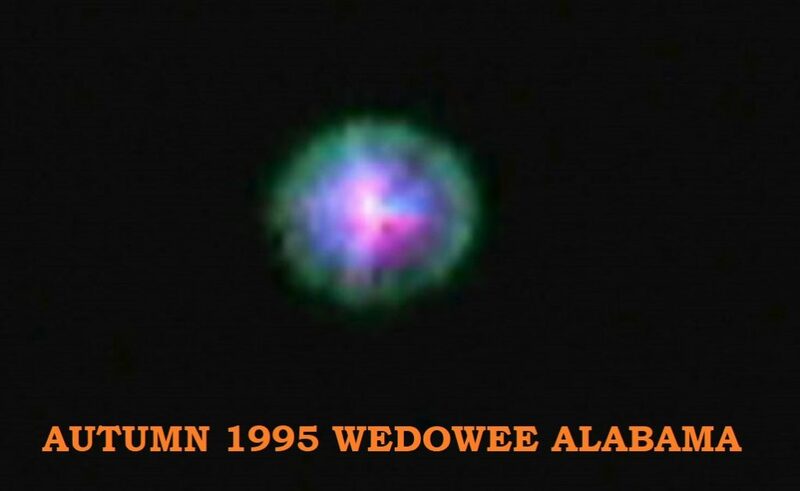 Several years previously, and less then a year after the Wedowee sighting on 16th September 1996, a daytime sighting in Valley, Alabama resulted in several photographs being forwarded to a local radio station and newspaper to investigate. 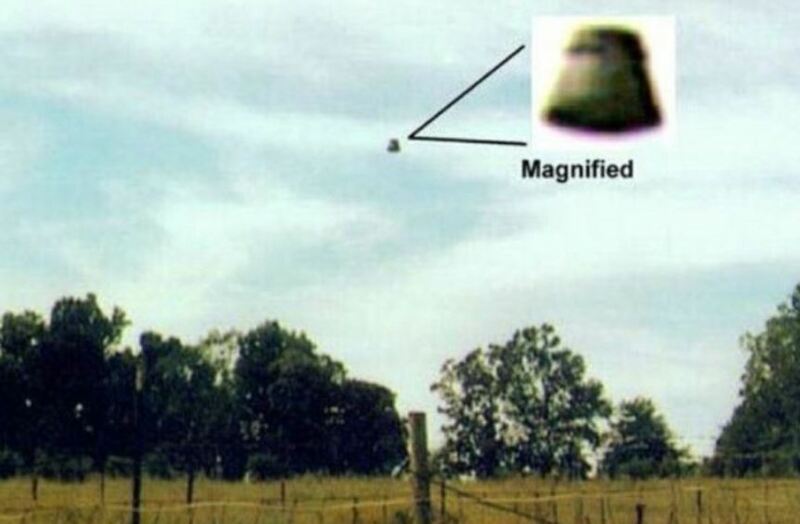 One of the pictures, which you can see below, features a “capsule-shaped” object seemingly traveling over a field in the area. And while there are no reports of glowing orbs, the general shape of the object – taking into account it is daylight as opposed to night – is largely very similar. According to the report, the witness was making repairs to his fence. Then, his dog suddenly began to bark and become agitated. When he looked up he immediately saw the capsule hovering in the air. As well as occasionally moving slowly over the fields. He quickly managed to grab his camera. And snap the pictures before it moved out of view. Researchers and investigators who have examined the pictures suggest that it is unlikely they are part of a hoax. Mainly due to the different positions of the craft and the corresponding shadows in each shot. One UFO researcher, John Thompson, would even state he was: …most favorably impressed by the photos! In fact, during a local television debate on TV-33 ten days later, on the 26th September in Lagrange in neighboring Georgia (and only 20 miles from Valley), Thompson would also reveal that two more witnesses had since come forward with extremely similar sightings in the Lagrange region. What’s more, further witnesses would come forward. It would appear sightings of the exact same object went back at least a quarter of a century. In fact, one of the earliest sphere-type UFO sightings of the twentieth century in Alabama took place decades even before that. According to reporter, Wayne Ruple, in the summer of 2003, while on routine patrol in the Trickum Valley area of Alabama, two Cleburne County deputies would suddenly find their entire vehicle bathed in a bright, urgent light. It was obvious to the two officers that whatever the source of the light was, it was hovering over the top of their vehicle. And seemingly keeping pace with it. The deputy behind the wheel would increase the speed of the car in an attempt to outrun it. However, no matter how fast he went, the light would maintain a similar pace. Eventually, the officers would pull the car to the side of the road and prepared to investigate what the object above them might be. Almost as soon as they left their vehicle the object vanished. However, as they made attempts to restart their vehicle it was clear that all of the electrics were dead. The officers could start the engine and drive, but none of the electrics such as the headlights were active. They proceeded with caution. As they did so, they would spot several campers near the lonely road. When they stopped to ask if they had seen anything strange, all replied of seeing a strange, bright light. Incidentally, one of the deputies involved had witnessed an extremely similar sighting almost exactly a year previously while off duty with his son. Furthermore, in a particularly unnerving encounter, the previous year he had witnessed a similarly strange light in the woodlands of the area. When he went to investigate, he would, momentarily, find himself directly in front of the strange light. He would recall how it looked like “a man sitting inside a bubble-type” cockpit. NOTE: The above image is CGI. The MUFON investigation wouldn’t begin until May 1997. Consequently, the exact date of the incident is unknown, other than it was 1995, and during the autumn or winter months due to both the colder temperature recalled by the witnesses, as well as the fact it was dark at 7 pm (when the incident occurred). Like the date, the exact number of witnesses varies depending on the source. However, it would appear that between 10 to 12 members of church ladies’ group from LaGrange, Georgia were traveling to a church in Anniston, Alabama as part of an organized cross-state “bingo” trip. Their driver was also a member of their church in LaGrange, as well as a respected businessman in their community. It was a journey they had made several times before. So much so, that each was waiting in dread-like anticipation for their small bus to go past the poultry plant in Wedowee that was on their route and for the ungodly stench from its buildings to infiltrate their vehicle and assault their nostrils without mercy or discrimination. As they went by on this evening, however, it wasn’t what they could smell that got their attention, but what they could see. Over the plant, they could see a strange light. At first, they thought it was part of the main building itself and questioned why such a bright light was positioned there. However, as the light began to move one of the passengers would announce, “It’s not a light, but some flying thing”. Almost immediately following, the light suddenly began to head in their direction. The driver increased the speed slightly. The strange glow continued to follow them, with each of those on board now very much aware of the strange events unfolding around them. The strange light would maintain its distance of approximately 50 feet while flying at a height of around 10-12 feet above awestruck driver and passengers. Many of the witnesses would describe the object as an orb or lightbulb. Two of them would even claim to have seen a “humanoid shape” moving inside the brightness of the intense glow. The more they stared at the strange object and the longer the incident continued the more unnerved the witnesses became. Many of the passengers began to duck in their seats so their heads were not exposed in the glass windows. Each would take a quick peek outside on occasion before ducking back down again. Perhaps of more concern was a “strange beam of light” that several of the passengers claimed emerged from the orb and “hurt their eyes”. Another witness would describe this beam as having a “sparkling effect” while another would state that the beam came through the window as if some had flicked a switch. Incidentally, several of the passengers would report extreme soreness and irritation of the eyes in the days that would follow. The driver would take the vehicle into an underpass. When the light didn’t follow, he and the passengers thought perhaps they had lost it or it had given up the chase. However, upon emerging from the other side of the tunnel, the light was there, hovering above, as if anticipating and waiting for their arrival. The pursuit would continue for several more minutes until the van came to an intersection and stopped. The light, rather than stopping, the light continued over a field before it suddenly accelerated vertically. It moved so fast it left a visible streak in the witness’s eyesight for several seconds. Then, it was the size of a star which suddenly vanished. One moonless night in July of 1970 a friend and I were on the beach in Westhampton Beach, NY. We had been on the beach for about an hour and our eyes were accustomed to the night sky. It was a fairly clear night sky considering that most summer nights on the east end of Long Island tend to be foggy or cloudy. We had seen both commercial and military aircraft in the sky that night, in 1970 the Air Force base in Westhampton trained fighter pilots for Vietnam and also operated search-and-rescue airplanes and helicopters, so we were very familiar with what lights normally appeared that night. We were facing south towards the ocean. All of a sudden I noticed a very bright white light to the west, my right, about 30 degrees over the horizon, roughly 2-3 miles out to sea and about 8-10 miles to the west. I knew it was 8-10 miles away because it was in line with a lighthouse I knew to be in that location. I poked my friend who was on my left side and said, “Hey, what’s that white light in the sky to the right?”. Almost as soon as my friend turned his head to look where I had indicated the white light moved at an incredible speed in a straight line to a spot over the ocean about 2-3 miles out and almost directly in front of us and still about 30 degrees over the water and it just stopped and hovered there. We both started laughing and simultaneously said words to the effect of, “Holy s***, that’s a UFO we’re looking at!” The light cast no beam and was the whitest light I have ever seen. At the time I thought it looked like a 10+ million candlepower driving light that did not cast a beam just sitting in the sky. The light hovered there for a few seconds and,after a slight movement back towards the west, in the blink of an eye it continued to the east in a straight line and once again stopped and hovered at a point that I calculated to be off of one of the beaches in East Hampton about 12-15 miles away. It hovered there for about another 2-3 seconds before shooting 90 degrees straight up at an unbelievable speed and disappearing. Our entire sighting lasted less than 10 seconds during which time the light hovered for about 8 seconds and moved 20-25 miles horizontally and God knows how many miles vertically. Tangentially, I was watching THE MERV GRIFFIN SHOW one night in the late 1960’s or early 1970’s when his on-air sidekick Arthur Treacher casually mentioned that over the weekend he had visited Westhampton Beach and witnessed a UFO land on the beach in front of the hotel where he was staying. Much audience laughter and many jokes about his drinking. Additionally, the flight path of the UFO I mention in this story was exactly that of the one taken by TWA flight 800 in 1986 albeit at a much lower altitude. When I first heard about TWA 800 and recalled how incredibly fast the light I saw in 1970 had shot straight up before disappearing I thought to myself that if the light I saw in 1970 had any mass it would have totally obliterated any object in its path. One night in 1994 I was driving my wife and three sons back from a trip to upstate NY to our home in Manhasset, Long Island. It had been a long trip and it was about midnight. Everyone in the car was asleep, or so I thought. About two blocks away from our suburban home I glanced to my left for about 2-3 seconds and saw what looked to me like the right tail corner of a huge black triangle, its edges lit by an untold number of multicolored lights. Judging by the piece of it I saw the triangle must have been at least a thousand feet long and cruising at just above treetop level at around 30 MPH right down the middle of the well populated street parallel to the one we were on. It’s impossible, I thought, my eyes must be tired from driving and watching car lights for five hours! I continued home and was in my garage two minutes later. When we were getting our boys out of the car my seven year old looked at me and said, “Daddy, what were those bright lights over the trees on Bonnie Heights Road?”. I was shaken, but told him it was nothing and that he was probably just dreaming and thought he was awake. Now that he’s older we often speculate about what we saw. On the night of 8/18/14 at our house in Southampton, NY my wife called out to me in our bedroom from the adjoining bathroom. “Look at that orange light in the eastern sky!”. I went out onto the eastern facing, second floor porch off our master bedroom. To the southeast I saw a glowing, dull orange colored bell shaped object traveling very slowly from the east to the west seemingly parallel to the beaches of Southampton Village 3 miles to the south. 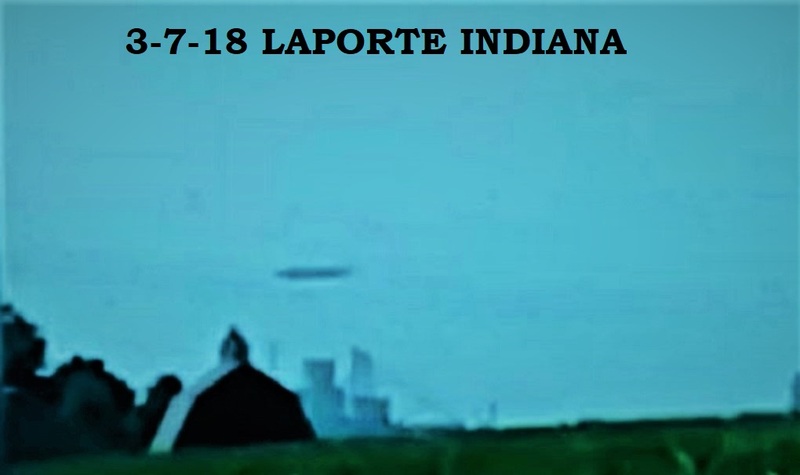 The orange glowing object was shaped exactly like the Liberty Bell and about the size of a small plane such as a Cessna, not that it looked like an aircraft at all just that it was roughly Cessna sized if the Cessna was somehow reshaped into a bell shape. There was no sound. As I had recently seen quite a few Fourth of July celebrations I knew what both fireworks and, more importantly, floating Chinese paper lanterns looked like and the object we saw looked like neither of them. It traveled much faster than a Chinese lantern carried by the wind would and much slower than the stall speed of light aircraft, about 50-60 MPH. It wasn’t very high in the sky, perhaps 300 feet. I remember thinking how the village would be abuzz tomorrow with talk of the previous night’s orange bell, but I never heard anyone ever talk about it! By this time my wife had joined me on the porch and we watched the object move at a consistent speed to the west until our view to the south was obscured by large group of very tall trees close by our property. I reported the sighting to MUFON, case #59187. We did not wish to be interviewed, but I did exchange several emails about the sighting with the MUFON investigator. Several months later I saw online that our case was reported in the MUFON Journal. 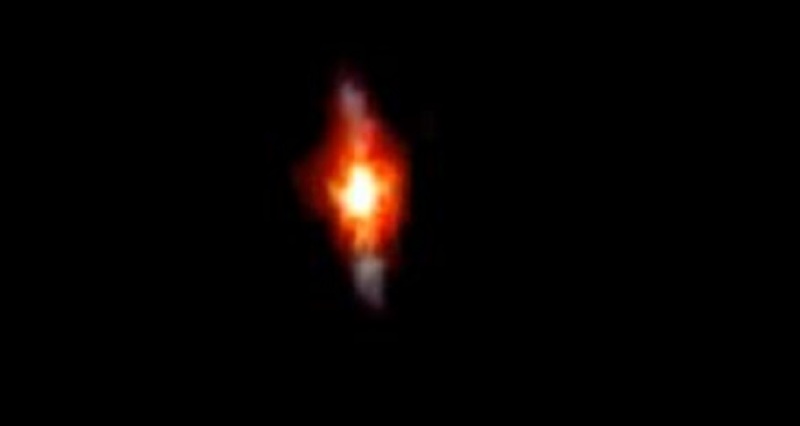 I much later saw what might have been the object we saw in a YouTube video shot by another Long Islander on the same night, but in a location about 30-40 miles west of us. It might still be online. Thanks for the chance for me to revisit my episodes of high strangeness and to compile them all for the first time. NOTE: The above image is CGI.